Last month, Social Media Week celebrated its 10th anniversary, bringing together hundreds of business and industry leaders for panels, workshops and keynotes on leveraging the power of social media. As a government relations professional at Capalino+Company, I’ve seen how social media plays a critical role when developing a strong government and community relations strategy. To better engage with the people and communities where our projects are being realized, we often turn to social media to get the word out, solicit feedback, and encourage dialogue. When social media advertising was starting to take off, the focus was on getting content in front of as many eyeballs as possible. But active social media users are more savvy and understand the difference between a throwaway ad and one that is authentic and uses quality storytelling to engage the audience. Focusing on the latter and creating deeper relationships with your social media network will increase your chances of converting your audience into supporters, customers and advocates, leading to an increase in your bottom line. Do you know the difference between engagements and impressions? Which is more important? If neither of them leads to conversions, it doesn’t matter. Watch your metrics and make sure you define success at each level – if one post is intended to raise awareness of your brand, impressions and website clicks are what you want. Starting a newsletter? Look at your post to sign-up ratio. Consistently modify your strategy based on these successes. National Geographic, the #1 brand on social media, has more Instagram followers than Nicki Minaj, and slightly less than Kendall Jenner. How do they do it? They focus on visual storytelling. The National Geographic brand was built on delivering compelling visual content and they’ve been very successful at developing an audience on social media and keeping them engaged with a steady flow of the quality content they’ve always been known for. Use your social channels to talk about your ‘social purpose’ work. These are the unique stories that will resonate with people and show your brand in action! Even better? Use your social channels to further your social impact goals, like Stella Artois did with Water.org, selling Stella chalices to support clean drinking water worldwide. If you need ideas, contact us to talk about how you can use your online platforms to strengthen and highlight your work in the community. Audiences are disillusioned with companies, brands, and politicians on social media. They come to these platforms for authenticity, which is why the celebrities that show their normal day-to-day lives are so successful. Your brand is no different – be real with your audience about who you are and what your intentions are, and create content that is genuinely appealing to them. They’re smart enough to know the difference. People are meeting, talking, and sharing ideas online, so you’ll need to engage them there. As you think about how to achieve success for your business, your strategy must include a way to stand out in those conversations. 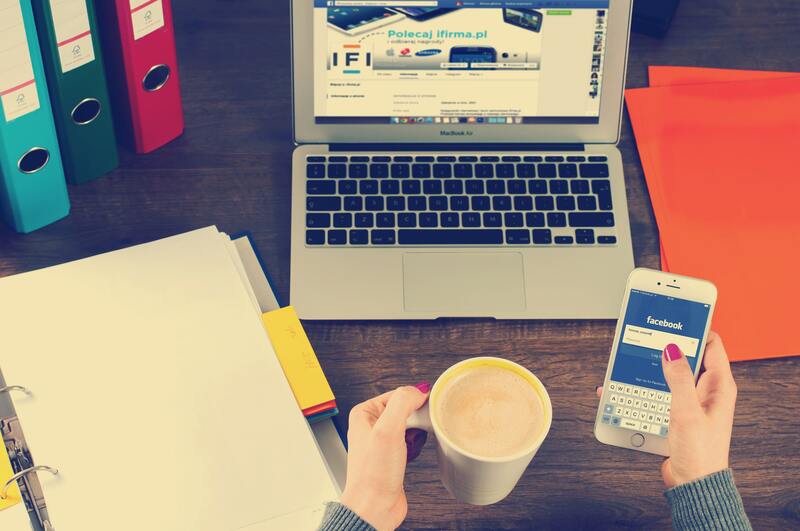 It’s not all cat pictures on Facebook — social media platforms are your best bet to connect with clients and communities. If you’re interested in learning how Capalino+Company can work with you to create digital strategies that elevate your government and community relations plan, please reach out Safeena Mecklai at safeena@capalino.com.